A unique and artistic stone, Magma Gold is truly one of a kind. It\\\'s a premium black granite with golden designs that take on a life of their own, creating a beautiful contrast of colors. 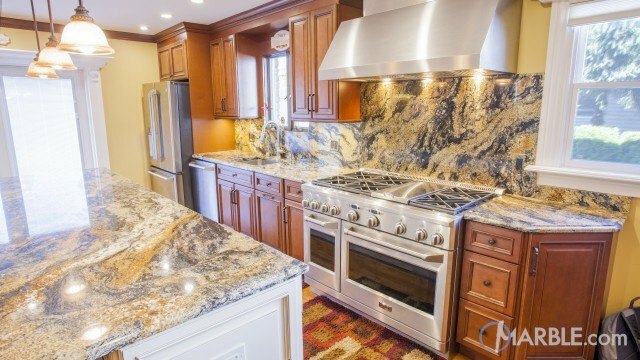 Magma Gold makes a striking impression as a kitchen countertop, bathroom vanity, fireplace surround, or flooring.